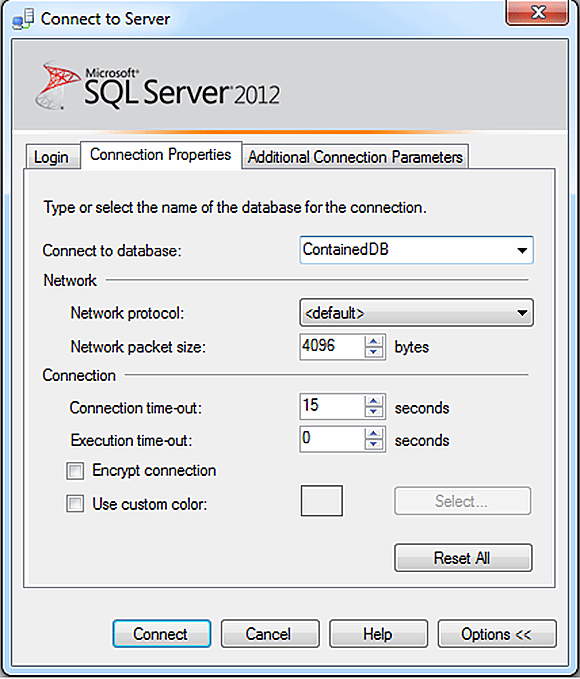 Learn how to implement and configure contained databases in SQL Server 2012. Notice that the CREATE USER statement is followed by the sp_addrolemember stored procedure, which assigns the user to the db_owner role. Figure 1. You can create a connection specifically to a contained database. 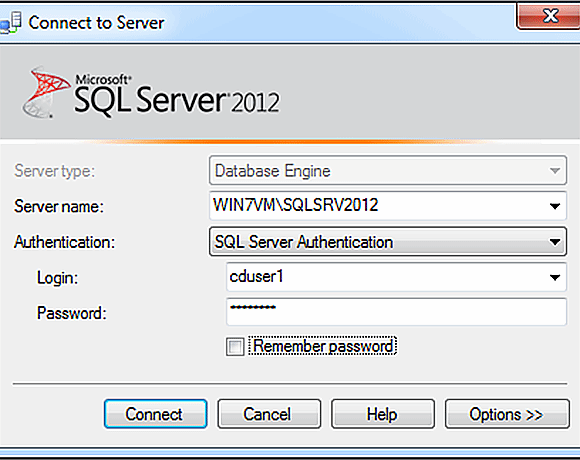 As the examples have demonstrated, you need to take only three steps to set up a SQL Server 2012 contained database: Enable containment, configure the database for containment, and create the contained user. And if you don't want to script these settings, you can instead use the SQL Server Management Studio (SSMS) interface to configure them. After you set up your contained environment, you should try to connect to the contained database by using the contained user to test the connection. In Object Explorer in SSMS, click the Connect button and then click Database Engine. When the Connect to Server dialog box appears, enter the instance name and credentials for the contained user, as shown in Figure 1. Figure 2. You must specify the contained database in your connection. If you click the Connect button at this point, you'll receive an error. That's because you must first specify the target database when connecting with a contained user account. (The database must be part of the connection string.) To add the database, click the Options button and type the name of the target database into the Connect to database text box, as shown in Figure 2. Now when you click Connect, you'll be connected to the specified instance, with access only to the contained database. Figure 3 shows the connection in Object Explorer. Notice that the user and database names are included with the instance name. Also notice that only the ContainedDB database is included in the list of databases and that cduser1 is listed as one of the user accounts. Figure 3. A connection to the contained database lists the user and database. 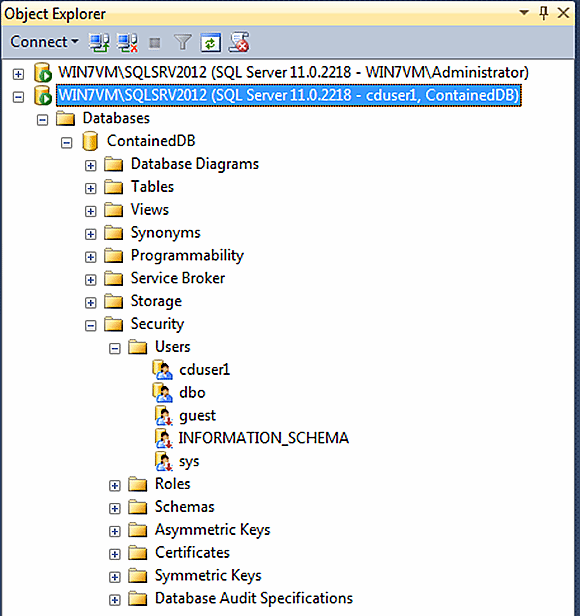 Sys.dm_db_uncontained_entities: A system view that lists any noncontained objects in the database. You can use this view to determine what items to address to ensure your database is as contained as possible. Sp_migrate_user_to_contained: A system stored procedure that converts a login-based user to a contained user. The stored procedure removes any dependencies between the database user and the login accounts. By using these tools, you can achieve a status of full containment, making it easier to manage the database going forward.